Tell us about Federated Co-operatives Limited and why you decided to get involved in the Quantified Farm Conference. Federated Co-operatives Limited (FCL) is focused on wholesaling, manufacturing, training, marketing and administration for our Co-op retail system. We operate in 4 business areas including agriculture, energy, food, and home building solutions. FCL is owned by approximately 200 retail co-ops and together – FCL and the Co-ops – form the Co-operative Retailing System (CRS). The great appeal to the co-operative model is that our profits belong to the communities they’re generated in. Our crop supplies department – the team I work with – is committed to providing our grower customers with the right products at the right time and place, while also partnering with them to provide relevant solutions for their farm. We know each farm, field, and acre is different and we want to work with our farmers and share the best agronomic solutions for each acre. We decided to get involved in the Quantified Farm Conference after partnering with Decisive Farming one year ago. Our partnership enables Co-op Agro Centres to offer more top quality precision and digital ag solutions to our growers. How do you encourage a culture of innovation at FCL? Our CEO, Scott Banda, and the entire leadership team believe that we must innovate if we are to remain relevant and meet the needs of our members now and into the future. When you have the support of your senior leadership team, you feel more comfortable exploring innovative ideas and solutions. It’s important when creating a culture of innovation that creativity and new ideas are explored. Our conference theme is the Spirit of Farm Innovation. Can you share a story from FCL’s history about being an innovator in the areas of agriculture and food process? Our farm customers are constantly changing because farm tech is evolving at a rapid pace. To ensure we are always improving the customer experience, we are dedicated to listening and adapting to their needs. We do a lot of outreach through activities such as farm focus groups across Western Canada. We also pay close attention to our retails and to market research; this helps us gauge where we think the industry is going and map a strategic direction so that we can anticipate and meet our customers’ needs. From collecting feedback, we affirmed our belief that it’s extremely important to our farm customers that the person they deal with at the retail level is knowledgeable and trustworthy. We took that feedback and developed an internal network of agronomists called our Co-op Grow Team. Part of my job is to help identify, develop, and deliver technical training tools and information to our Grow Team members. The Grow Team network is also a great conduit to share ideas, questions, and best management practices in agronomy. As Knowledge and Innovation Manager, I’m constantly brainstorming in the innovation space. 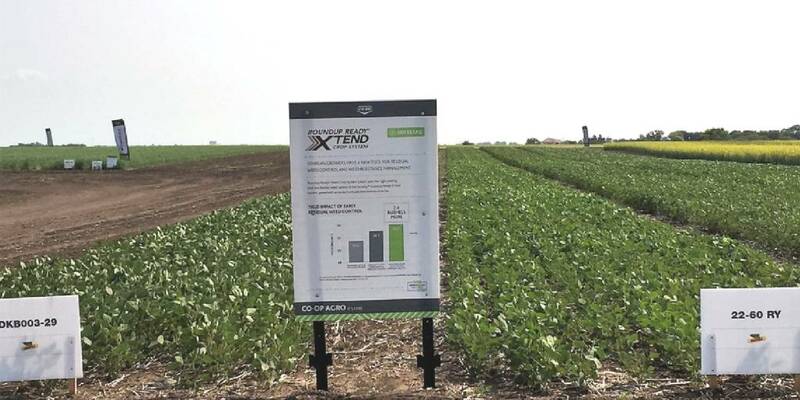 We have several projects on the go with the newest being our Innovation Field Trial Xtreme. 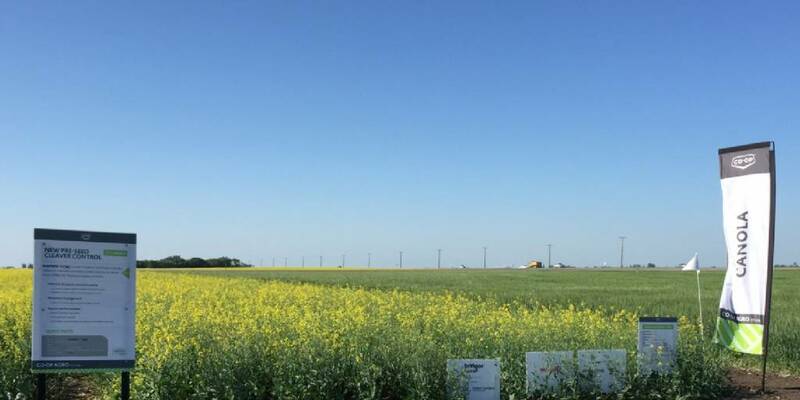 It’s a project involving 15 acres of various trials just west of Saskatoon, looking at things like canola performance, certified wheat seed varieties, 4R practices, and innovative fertilizer products. I’m also currently evaluating a drone imaging project and assessing the utility to our Grow Team agronomists and their farm customers. Our customers range from very tech savvy to those who are more traditional and rely on a notebook to capture records. Ensuring that our farm customers understand the importance of good documentation seems basic but it is fundamental when you think about farm sustainability. Once that base is established, all the other blocks like precision farming or quantifying acres for sustainably sourced food can build on top of that. The farming industry needs to continue being proactive in communicating with food consumers and ensuring that the trust is maintained. Good record keeping ensures that growers are implementing best management practices on farm and that they can provide evidence. So much technology already exists and we need to be focused on leveraging that. We have over 125 Co-op Agro Centres across Western Canada and ensuring that we have talented agronomists at those Centres is important to us. In 2013, we created the Excellence in Ag program which is a scholarship/internship program for university students in agriculture or agribusiness. 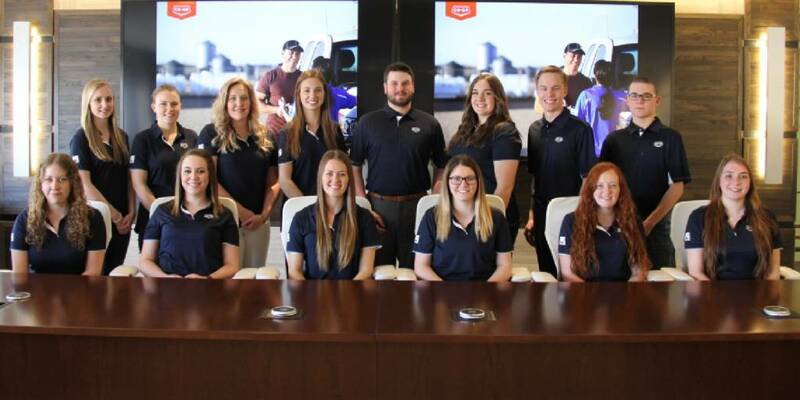 We recruit up to 4 students a year and provide them with retail experience by placing them at a Co-op Agro Centre each summer, while also providing a scholarship of $5,000 per year. At the end of the program we place time in a full-time position at an Agro Centre. As a farm customer, that provides a level of confidence knowing that we are mindful about recruiting and training good people to help farmers solve problems on farm. I hope to take away great agronomic and technical information, get exposure to some of the new technology in precision ag, and find out what farmers think about these technologies. I can’t wait to meet other industry people and reconnect with people I haven’t seen in a while. It was my first time attending last year and everything, from the venue and setting, to speakers and participant networking, was impressive. Buy tickets to the 2017 Quantified Farm Conference now!